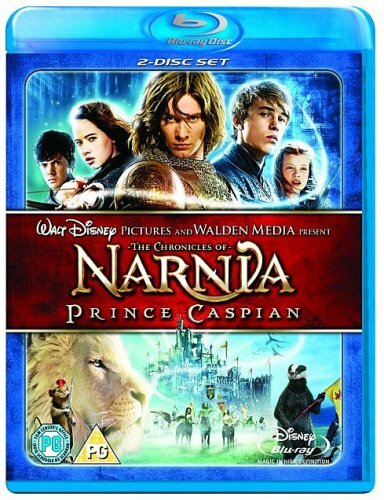 More exciting than The Lion, the Witch, and the Wardrobe, The Chronicles of Narnia: Prince Caspian continues the movie franchise based on C.S. Lewis' classic fantasy books. The movie picks up where the first left off... sort of. It's been a year since the Pevensie children--Peter (William Moseley), Susan (Anna Popplewell), Edmund (Skandar Keynes), and Lucy (Georgie Henley)--returned to England from Narnia, and they've just about resigned themselves to living their ordinary lives. But just like that, they're once again transported to a fantastical land, but one with a long-abandoned castle. It turns out that they are in Narnia again--and they themselves lived in that castle, but hundreds of years ago in Narnia time. They've been summoned back to help Prince Caspian (Stardust's Ben Barnes, res! embling a young, cultured Keanu Reeves), the rightful heir to the throne who's become the target of his power-hungry uncle, King Miraz (Sergio Castellitto). And he's not the only one threatened: Miraz's people, the Telmarines, have pushed all the Narnians--the talking animals, the centaurs and other beasts, the walking trees--to the brink of extinction. Despite some alpha-male bickering, Peter and Caspian agree to fight Miraz alongside the remaining Narnians, including the dwarf Trumpkin (Peter Dinklage) and the swashbuckling mouse Reepicheep (voiced by Eddie Izzard). (Also appearing is Warwick Davis, who was in Willow and the 1989 BBC version of Prince Caspian.) But of course they most of all miss the noble lion, Aslan, who would have never let this happen to Narnia if he hadn't disappeared.